Putting up with a soggy yard or basement can be aggravating for any property owner. But, a home or commercial building suffers from these conditions if it lacks suitable groundwater drainage solutions. 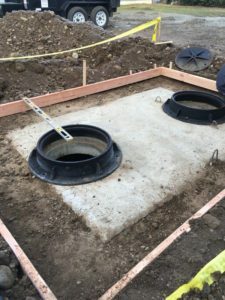 Vac-Tec LLC offers its expert services for the installation of backyard and landscape drainage solutions for Burien, WA area properties to prevent water from standing and ruining their basement or yard. 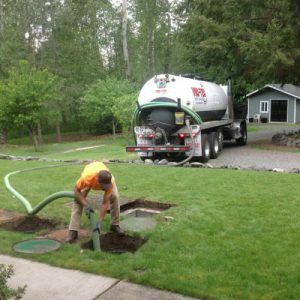 If you want truly effective, reliable and sustainable backyard drainage solutions in your Burien property, hire only proven pros like us. 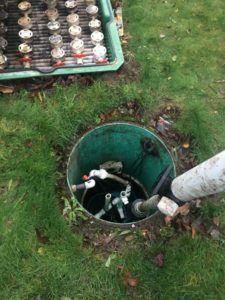 Our well-trained technicians have extensive experience in downspout drain, curtain drain and storm drainage installation. People who are concerned about protecting their property from rainwater damage invest in the installation of gutters and downspouts. They must also make sure to have a downspout drainage system put in place. We can help. We install the right type of downspout drain lines in Burien properties. The roof run-off collected in the gutters flows down the downspout and then goes through the downspout drain into an underground downspout drain box or catch basin. Only by professional assessment can you be assured the correct drains have been installed. Our technicians understand all that goes into seamless installation of downspout drainage solutions. Does your property need a curtain drain around the septic field, in a crawl space or along the foundation? Get in touch with us. We specialize in making curtain drains that are like French or footing drains. The key difference between curtain drain and French drain is the depth. French drains are much deeper than curtain drains. The purpose of both, however, is to divert excessive standing water in the yard or around a building safely away from the foundation. Contact us today for a free estimate for curtain drain installation cost. Call VAC-TEC LLC for storm, curtain and downspout drainage solutions in Burien properties. Call (206) 339-0039.